Fritjof Capra (2007). The Science of Leonardo. প্ৰকাশক U.S.: Doubleday. ISBN 9780385513906. Cennino Cennini (2009). Il Libro Dell'arte O Trattato Della Pittui. প্ৰকাশক U.S.: BiblioBazaar. ISBN 9781103390328. Theophilus (1963). On Divers Arts. প্ৰকাশক U.S.: University of Chicago Press. ISBN 9780226794822. Emanuel Winternitz (1982). 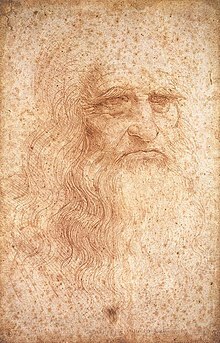 Leonardo Da Vinci As a Musician. প্ৰকাশক U.S.: Yale University Press. ISBN 9780300026313. ↑ 1.0 1.1 1.2 Gardner, Helen (1970). Art through the Ages. পৃষ্ঠা. 450–456. ↑ 2.0 2.1 2.2 Vasari, Boltraffio, Castiglione, "Anonimo" Gaddiano, Berensen, Taine, Fuseli, Rio, Bortolon. ↑ Rosci, Marco (1977). Leonardo. পৃষ্ঠা. 8. ↑ "The Controversial Replica of Leonardo's Adding Machine". http://192.220.96.166/leonardo/leonardo.html। আহৰণ কৰা হৈছে: 2010-12-22.